in the Exner und Schwackhöfer buildings today from 10 a.m. until late in the night. 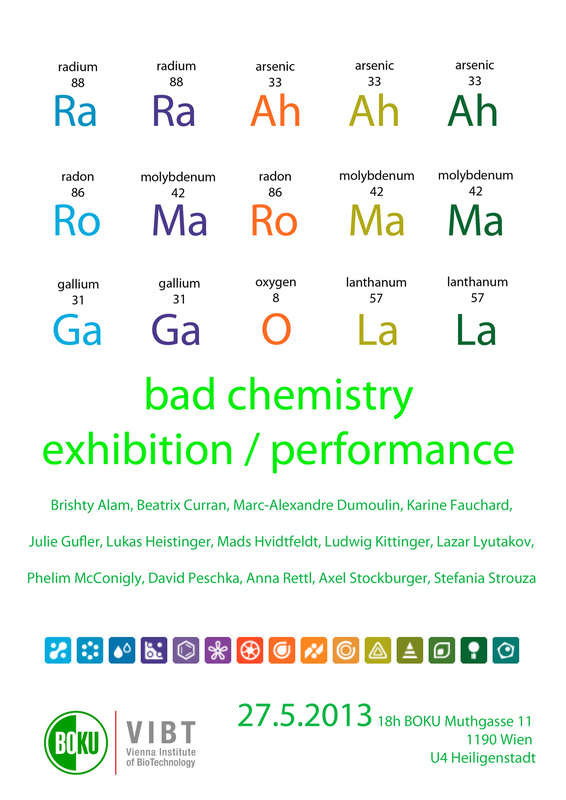 An exhibition at BOKU Muthgasse that plays on the frictional areas between the dispositives of art and science. At EGU 2013 General Assembly, Sophie Gangl from the Department of Chemistry received an “Outstanding student poster award“. Discuss with senior personalities the current challenges and issues in the EU: May 23rd, 7:00 p.m., EU building, Wipplinger Straße 35. The questionnaire for evaluating the courses of the summer term 2013 is available from May 13th to 26th within BOKUonline. On 22nd of May 2013, the Department of Water, Atmosphere and Environment presents its various fields of research at a brown bag meeting. for the renewable mobile-device-body project of the Institute of Natural Materials Technology, IFA Tulln. A guided tour through the lab and greenhouse of PBU - 25 years of plant biotechnology research.